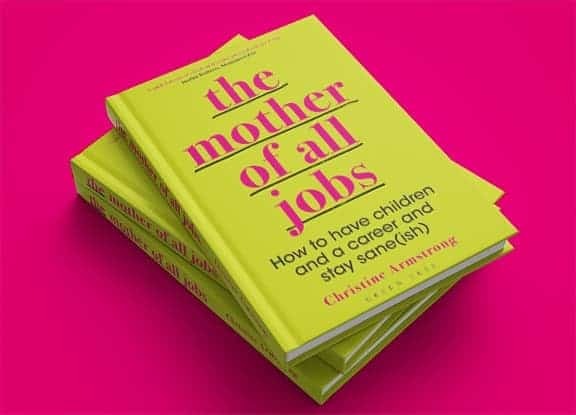 This week at AML we invited author Christine Armstrong to our #AMLTalks to discuss her brilliant and explosive book ‘The Mother of All Jobs’, a book that aims to start a new conversation about the balance between working and parenting and unpick the myths around being a working mother. For many women the idea of having children and a career and staying sane is an impossible dream, so why aren’t we trying to change this narrative? After having a child, Christine Armstrong found herself in a situation not uncommon to many women, struggling to balance a child in a work day that’s no longer 9-5. The idea for ‘The Mother of All Jobs’ came after the birth of her second child when, in search of answers, Christine began interviewing other working mums to discover that she was not alone. Each woman’s experience showed that having both a successful career and kids is extremely hard work, but no-one is talking about it. Brilliant and real, Christine’s talk was also incredibly funny and relatable, deconstructing the glossy portrayal of working mothers and instead claiming “we’re all being sold a lie.” Christine touched upon the story we have been told for years that “if you try hard enough it will be ok”. But the reality is not so simple. We put too much pressure on ourselves to try and be superhuman and anytime we struggle we feel like we’re failing. What’s clear is that Christine’s book has hit a nerve. Following a piece in The Sunday Times Magazine this summer, she received thousands of messages from women wanting to share their own experiences. Our aim with this #AMLTalk was similar; we wanted to bring together a group of engaged individuals to discuss the truth of being a working mother and to start a conversation on a personal level but also across society. The outcome was a sense of sharing and understanding as guests spoke about their own experiences. Our #AMLTalks left our guests feeling more informed and confident in lobbying for change. Following the #MeToo movement last year, women’s rights are on the agenda and a new conversation for working mothers no longer seems impossible. #AMLTalks is a series of conversations around current and thought-provoking topics, bringing together like-minded people and generating relevant and useful insights. Why AML is the best place to work. By Jellybean.